This thread is for comments about our Elegon encounter guide. Let me start by saying I love all your guides, and they have helped me achieve so many boss kills. I would just like to point out a mechanic that you may have missed out on in your Elegon guide. After the 2nd cycle of phase 1, 2 and 3, where the boss pulses AoE, any attempt to leave the inner circle will result in much higher damage to that person, so they must leave the circle at earlier stacks. You are right! Thanks a lot for your comment. Fixed. Thank you very much for your guides have helped us a lot. I have a question about this fight. 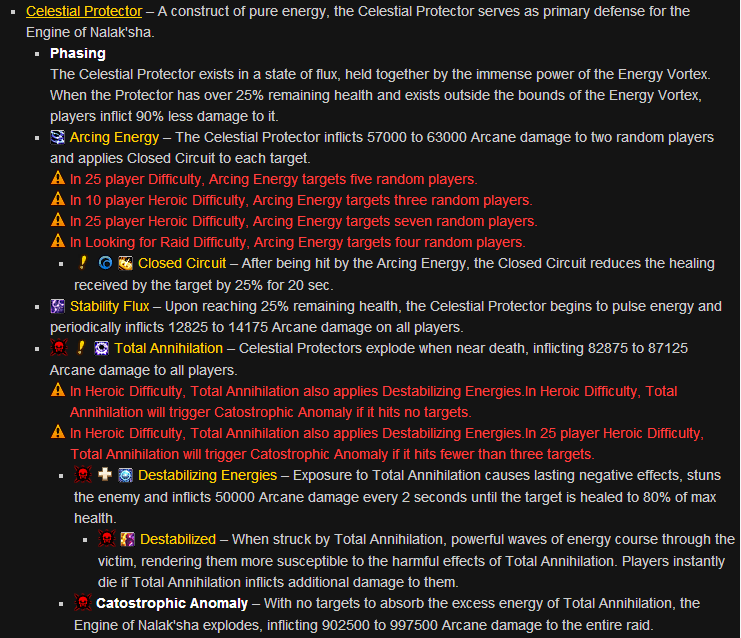 Everytime the Celestial Protector Cast Total Annihilation our group receives way too much damage, even killing those who are over 80% of his life, so every Celestial Protector is a mana burn =/! Total Annihilation on normal mode hits everyone in the raid no matter the distance. 200K damage is what it deals, you cant avoid it, only mitigate it. Are you sure? Dungeon Journal says "Celestial Protectors explode when near death, inflicting 200.000 Arcane damage to all players." It was to my understanding it was a proximity thing. I will look again. Looking at this, it does say all players, but when looking at the heroic part it implies a proximity. I assumed the proximity was the same for normal. I could be wrong. I don't get to try that fight until Monday. edit: Reading other things and stuff my guild has found, it seems that they do hit the whole raid and they MIGHT benefit form toch of the titans and affected by overcharged. Not entirely sure about the second part though. Well, if the case is that it hits all players, try to burn him down to 10-5% and then have EVERYONE (excluding one tank that had just reset his overcharged stacks) off the inner platform and then kill him on the outside. I mean, there is not much you can do if he is hitting everyone for so much, all you can control is not having Overcharged stacks and using AoE raid CD's to help stop the damage. Devotion Aura, Power Word: Barrier, Tranq, AMZ, etc. just try to negate the damage as much as possible. IMO it was suppose to only be proximity damage, but it seems like it is either a bug or the damage is too over tuned. You are correct indeed, the Celestial Protector's Total Annihilation is raid-wide, not proximity, as we mention in the guide. I have fixed the guide, and the updates should go up in a few hours. could i also point out that in phase 3 the barriers do not go down until you have killed the pylon exactly opposite as well (we tried in 10 man). this means that traveling in one group is NOT possible although you state the opposite in your guide. nonetheless your guides were extremely helful so far and we hope to kill this boss in the next couple of days. definitely the hardest boss in this raid so far. We managed to control the Total Annihilation, but after we kill the pillars there are too many adds hitting our group, so when get 50% we are OOM healing through the adds. Can anyone else confirm this? Because I did not experienced any such thing, nor can I find any evidence of it happening. I assume you are killing the adds? I can confirm that you have to split the group in 10 mann difficulty. The barriers go down when two opposite pylons are killed. The adds are very hard. The boss needs a very high raid dmg. At the moment, 6th October 2012, the encounter is very hard. Only few "medium skilled" raid groups will have the raiddamge to kill the boss. Thanks for confirming. I honestly had not noticed that this happens at all. I'll update the guide accordingly. Regarding the DPS race part, I updated the guide earlier today to emphasize the DPS race nature of the fight. For 10-man, you pretty much need to use 2 healers to beat the enrage at this stage. I've made some extensive updates to Stage Three description/strategy to account for the fact that you need to kill both Focuses to break an Energy Conduit. Also changed the achievement strategy part a bit. In the stage three pylon diagram, range who stand beside numbers 2 or 5 are able to reach all three pylons. This is good for multi dotting. The quantity of adds during stage three can be reduced by making all pylons die almost simultaneously (achievement and no haste buff for boss). I suggest assigning dps players for each pylon: in 10 ppl normal pylons have around 1.2kk hp - it takes 20-30 sec for average player (multidotters have advantage). In Phase 1, get Elegon down to 85% before the 3rd Celestial Defender comes in. This is nearly essential to beating the boss before he enrages at the 9:30 mark. In Phase 1, ranged and healers have a very crafty place they can stand. If you position yourself at the VERY edge of the 'bubble' that Elegon is contained in, you will be in the bubble. However, there is a very tight spot that you can simply JUMP to leave the bubble and land and re-enter. This is noted by the geometry of the buffing area...it is a dome, not a cube. Therefore, if you stand at the edge, right before Total Annihilation or other damaging things, you can jump to reset your stacking debuff. This was a HUGE DPS gain for my raid group as they no longer lost a cast or ability while moving in and out. I'm sure this type of thing will be crucial to success for groups whose DPS isn't super strong. In Phase 3, at the beginning, is when healers should use their mana regenerative abilities. There is NO damage going out, and DPS should be spread out DPSing down pylons. 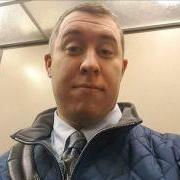 The pylons go down in about 10 seconds if your DPS are each assigned to one which negates the boss's stacking haste buff, decreases overall raid damage, speeds up the phase, and limits the amount of time the adds can wail on people requiring extra healing. 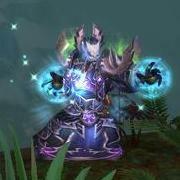 As you transition back to Phase 1, if you have any Death Knights, popping Army of the Dead will provide many taunting targets that will alleviate some of the raid damage you are taking in. With these kinds of tips, I feel you can push over the wall that this fight is. It is a beautiful fight and one of my favorites. Best of luck to all, and enjoy seeing your HUGE numbers at the end!